THE VENT: NINTENDO NX 900P? EXCUSE ME? The VENT is a special place. It will allow us to spew negative mental annotations off the record with no regard for any ones feelings. A huge portion of criticisms tend to be unconsciously edited; trading off a negative trait for a positive one. Here it's more of an unapologetic rant. Sometimes ranting is good for the soul; issues you may have difficulty shedding can sometimes be shrugged to the floor with a proper vent. So that you may then focus and articulate your creative energy in a more constructive manner. What follows is a passionate gamers untamed perspective on some recent Nintendo NX news. Lets welcome Kevin McKenzie to the EG conversation! Anyone following gaming blogs on the regular have heard this by now. For all you weekend warrior gamers with any mild curiosity; what I'm about to say shouldn't surprise you. That being said be advised and brace yourself: some speculative news about Nintendo NX has come to light, and to my complete lack of surprise, some of it is rubbing members of the video gaming world the wrong way. 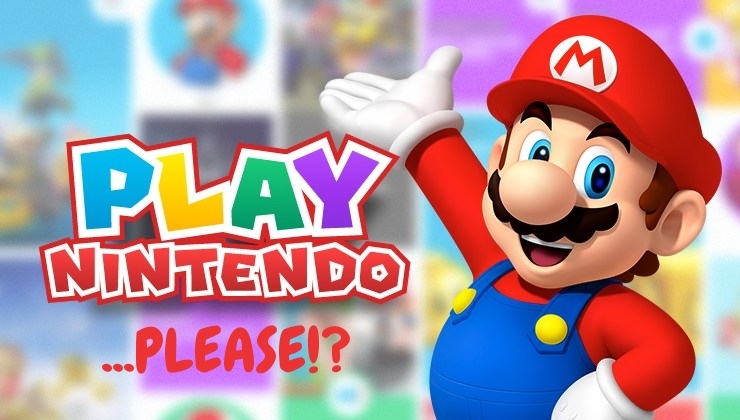 Much like the reaction you would expect by petting your cat from tail to head, The Nintendo community is currently fidgety and wide-eyed with their claws out, quite uncertain as to what to do next. Perhaps a brief back story is in order; Nintendo has had a pretty lackluster couple of years financially. The Wii U is all but considered a failure, selling less than 12 million units worldwide since launching in 2012. While perhaps this isn't a 'Virtual Boy' level travesty, I cant imagine that Nintendo is passing out cigars every time the sales reports come in. The 3ds, while certainly no slouch in sales figures, also failed to achieve the targets put in place by predecessors such as the Nintendo DS, GBA and the beloved original dot matrix wonder, the Game Boy. The current 'Nintendo Network' used for connecting players on both consoles draws the ire of gamers for not being user friendly or stable. Software releases for both systems have been few and far between, and with the exception of Super Mario Maker, the titles being released recently have not lived up to the level of quality that a longtime Nintendo fan would and should expect. With the future game release lineup looking as lean as a skinless chicken breast for both the Wii U and the 3ds, Nintendo is understandably starting to look towards the future. But there's one big problem with that, we are still smack dab in the middle of the Wii U life cycle... aren't we? Perhaps, as some have speculated, we are closer to the end of the Wii U's life cycle than most of us had hoped. It seems that Nintendo has sent out a survey with some information about their next generation console (codenamed NX) to a number of clients. One such client decided he was going to out the big N and post some delicate information contained in the survey on social media, which was then picked up by Geek.com and a number of game news outlets. This information should be taken with a spoonful of salt as all rumor should, at this time no actual official announcements have been made about the configuration or specs of the NX console. However, there are a few very interesting details contained within. The leak states some obvious information: games like Mario, Zelda & the Donkey Kong franchises will continue to exist(!!! ), but it also includes some juicy morsels of news for the internet to feast upon and regurgitate or digest as desired. One of the major takeaways, it would appear, is that they are sticking with a similar set up to the Wii U, as “gameplay flows between Nintendo NX console and Nintendo NX hand held device." Previously patent information had leaked suggesting this kind of streaming, but utilizing a newer, fully portable hand held device extending the streaming range, perhaps over WIFI or 4g. Much like a JJ Abrams reboot, the news is somewhat expected, definitely intriguing, but not all together earth shattering. Then there is a section of the survey detailing 'what comes in the box'; contained within is a Nintendo NX console, Game controller, HDMI cable and sensor bar. First it's interesting to note that the “NX handheld device” is presumably not included in the box, unless they are referring to it as the 'game controller' which is unlikely. Perhaps we are looking at a segmented purchase for those consumers who wish to take their NX gaming on the go, and if that's so, that could be a big gamble for those of us who expect a complete experience from a new console without having to make additional purchases. After all, this is a video game console, not an ever expanding set of Lego. The other interesting part of this section of the survey, was the sensor bar being included in the box. Like waggle gaming? GOOD! Because there is so much more of it heading your way! This does stick out to me as a potential red herring however; why on gods green earth would they need to include a sensor bar with the console? Playstation 4 and Smart Tvs have been utilizing motion controls without the need for external sensor bars of any kind, and they work very well. I am by no means against motion controls in gaming, but it concerns me that Nintendo may not be willing to take some of the technological leaps to improve user experience that have become common place with their competitors. Those who have been following Nintendo over the course of the last 10 years may see a trend, and even start to wonder if Nintendo is purposely under powering their consoles to make a profit off of the machine itself at launch time, rather than recouping minimal console profits through software and long term usage, as is the industry standard. On that note, enough of the appetizers, on to the main course of this leak: “Gameplay graphics at 900p / 60fps”. I like 60 fps but what was that first part again? While I do applaud the decision to enforce a 60fps frame rate on titles, giving the impression that the new box will not support full 1080p gaming could be the most telling thing about the whole show. Are they perhaps under powering the console so that the portable unit will be able to play all the games while not connected to the base unit? Or is it a case of “HD doesn't matter” as it was with the Wii? Could simply be a fundamental misunderstanding of just how many HD television sets are in households today? What do people in Japan use to watch all those wacky game shows???? Things were looking SO positive for nintendo just 5 short years ago.... whats Next? Graphic capability isn't everything – but as we've all seen with Nintendos recent track record – powering your system appropriately ties in directly with the potential for console longevity. There are many other questions to be answered, such as how they are going to get 3rd party developers interested in creating for their platforms again, what the price point will be, and does Nintendo have a legacy plan for those who purchased a Wii U to make up for the systems abnormally short life cycle? The leak in full . The user cropped the picture as to not reveal any personal information.... Likely the doings of Gannondorf, Wario or perhaps even the king of the koopas himself, lord Bowzer?? Ill shut up. We are just going to have to wait and see. There is one positive I take out of this; The console is likely not yet finalized as they are still asking for consumer opinion on it. This is the perfect time to tell Nintendo exactly what you want- or don't want from their next generation of hardware. Tweet them, write them, post on Reddit, text Reggie or snapchat with Miyamoto san, do whatever you have to do and make sure your opinion is voiced. If this project turns out to be a misstep, it could be their last. Even the greatest visionary can require guidance. I believe in you Nintendo. Just not at 900p.